The 2012-2013 budget has been released, and we’d love to hear your thoughts. So we thought it would be best to provide the opinion of both sides. 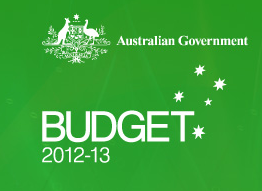 For more information on how the budget affects you and/ or your business, read through the 2012-2013 budget. “Julia Gillard and Wayne Swan only have a plan for more borrowing, more taxes and record debt. Families receiving maximum rate of FTB Part A with two or more children will receive an extra $600 a year, or an extra $300 a year if they have one child. Families receiving the base rate of FTB Part A with two or more children will receive an extra $200 a year, or an extra $100 a year if they have one child. More than a million Australians will benefit from a new lump sum Supplementary Allowance to help recipients of payments such as Parenting Payment and allowances, who will receive $210 a year for singles or $350 a year for couples.